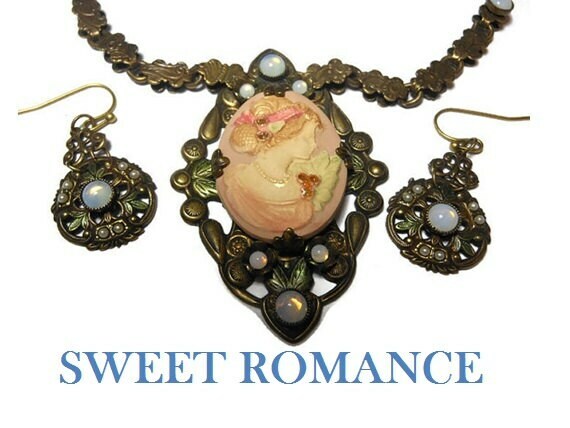 Sweet Romance cameo necklace and earrings, beautiful carved Gibson girl pink cameo, bronze chain and earrings with Opaline glass beads. There is so much wonderful detail in this set. 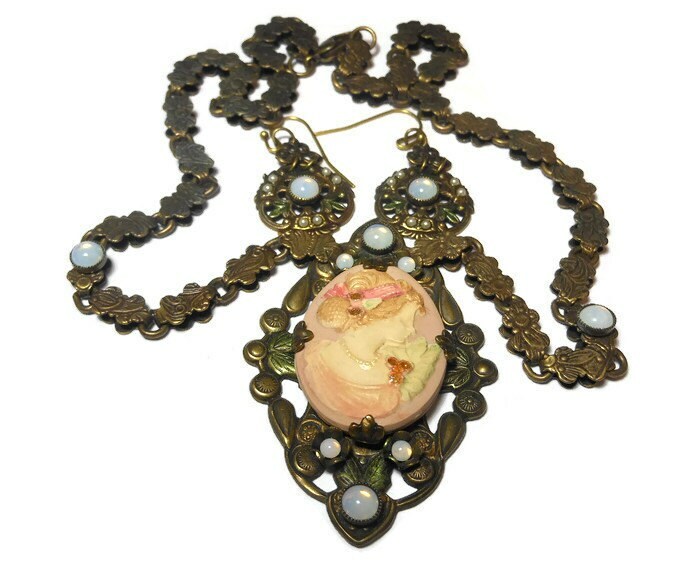 The cameo has a Gibson girl with a flower on her shoulder and enamel glitter beads, the finely detailed chain and edging to the locket in bronze also have green enamel added to the leaves, as do the matching pierce french hook earrings. 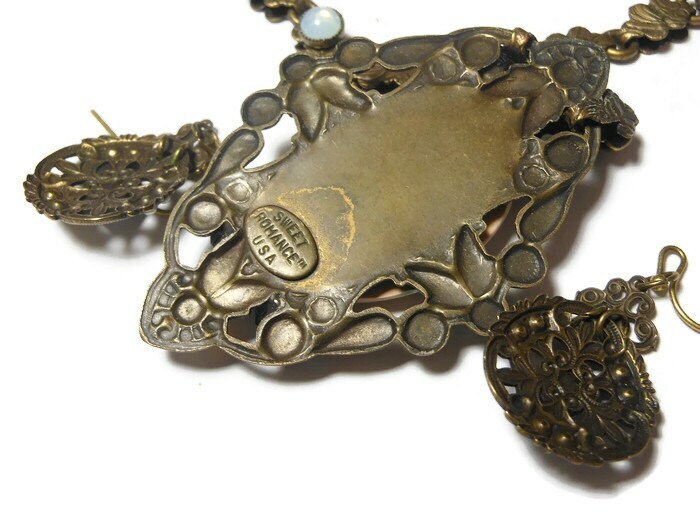 The chain measures 17" (43.2 cm) without the clasp. 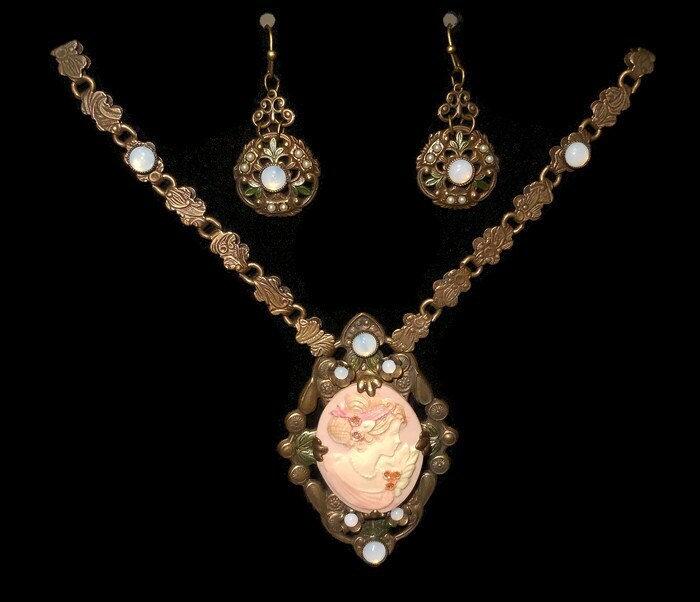 The locket is 2 1/4 (5.7 cm) X 1 3/8" (3.5 cm) and the earrings have a 1 1/2" (3.8 cm) drop and are 1/2" (1.3 cm) wide. They are in very good vintage condition. 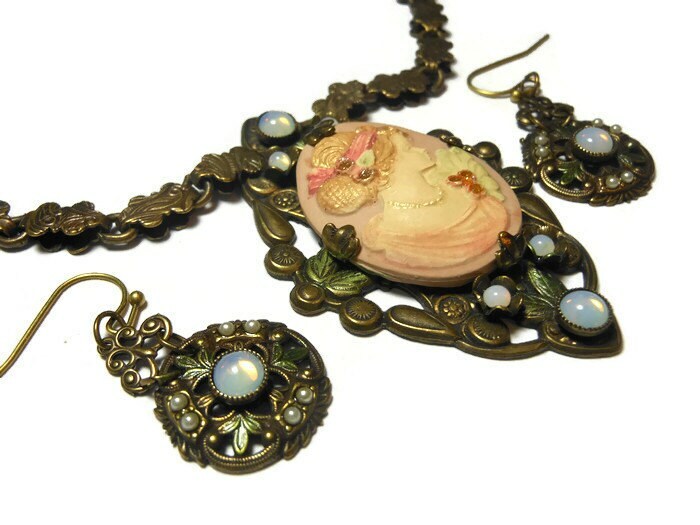 If you want to see more earrings follow this link: http://etsy.me/HPky231.